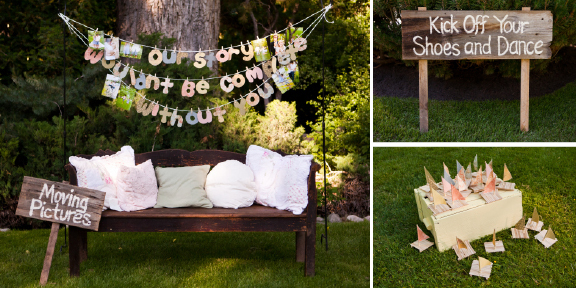 Wedding sign books are a very meaningful way. 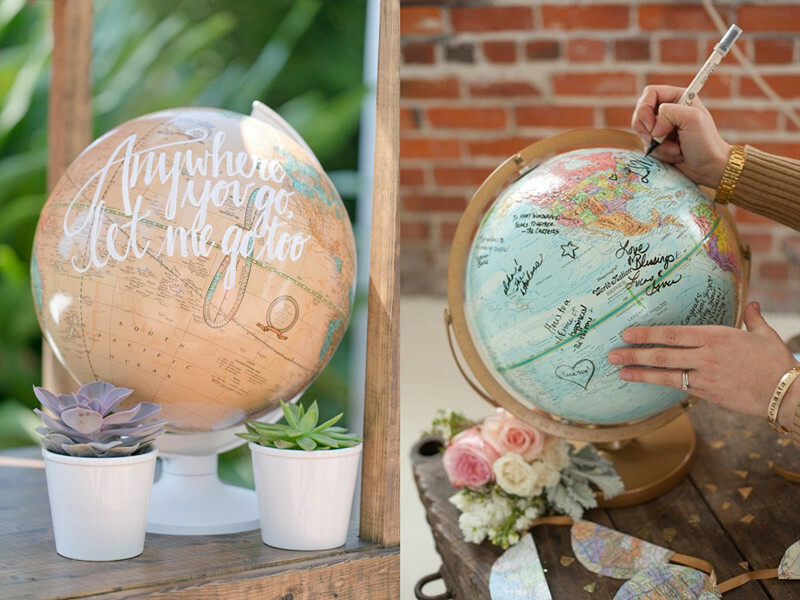 If you are tired of those traditional sign books and want to make some changes, here are some fantastic and creative alternative guest book ideas and wedding decorations you may need. 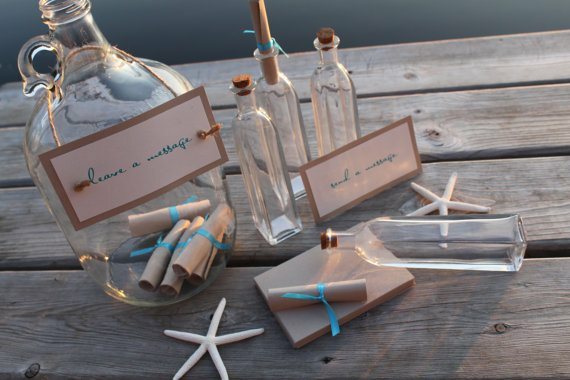 If you are going to have an aquatic style wedding, this idea is perfect for you. Find a glass jar and keep it simple. 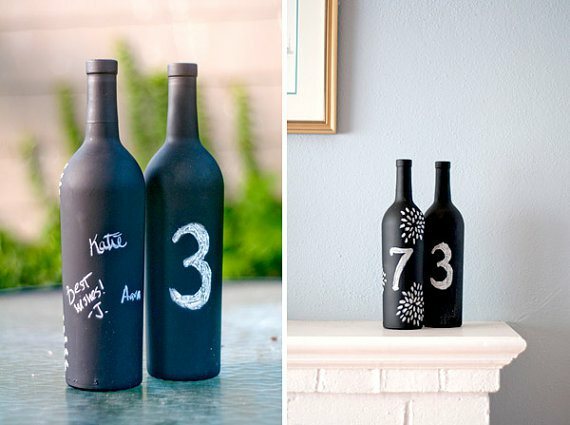 Have your guests write down their words and blessings. Tie it with sisal rope and put into the jar. 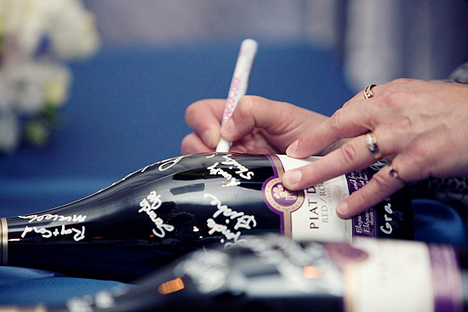 If you love wine, you may choose several bottles of wine and ask your guests sign on them. Then you can share it with your loved ones in those special occasions like your 30th anniversary or give them to your child when he or she gets married. Give them the blessing you received from others. 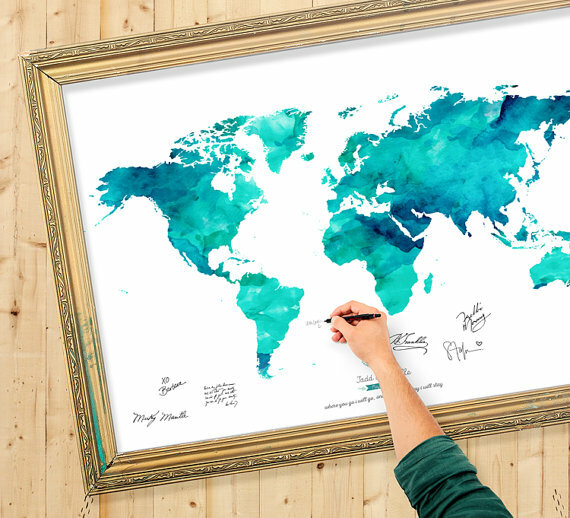 If your guests come from all over the country or you love travelling, a vintage globe or a map would be a great idea to keep those signatures. Besides, it can be a meaningful home decoration. A picture is worth a thousand words. Have your guests take photos together and write down their blessings. Hang them on the wall. It is very pretty and convenient. Don’t forget to prepare some funny photo frames. This might be a little bit time-consuming. Be sure you have enough time. In addition, decorate the background wall beforehand. These 3D butterfly wall stickers will be great decorations. You met each other, got to know each other and fell in love. Finally you find you one and only just like he or she complete the puzzle pieces. 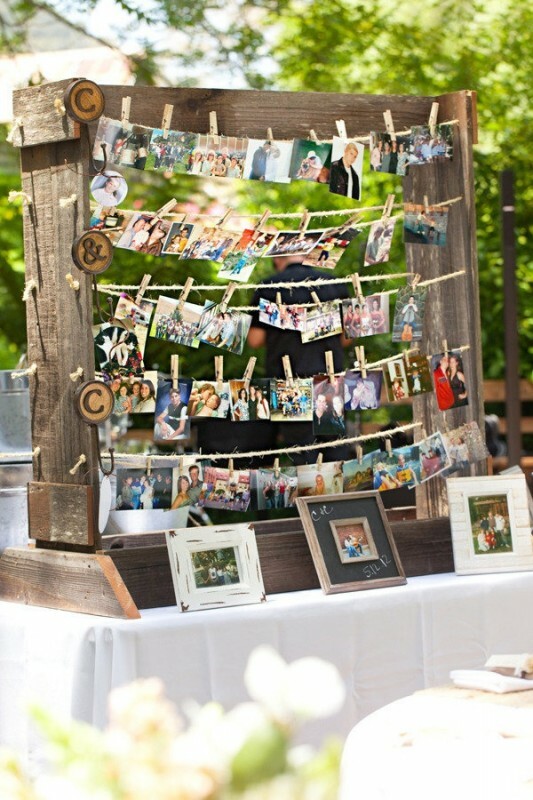 Why not make a jigsaw with your photos, ask your guests to sign in the back and put them into a glass jaw. After the wedding, you two can put the jigsaw together. What a meaningful way to bless your love! 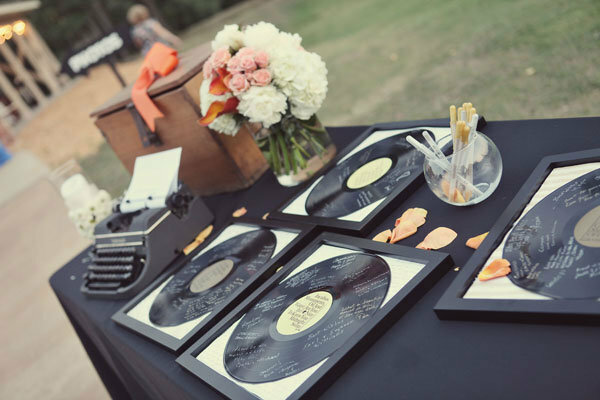 Have you thought about using vinyl records as your guest books? 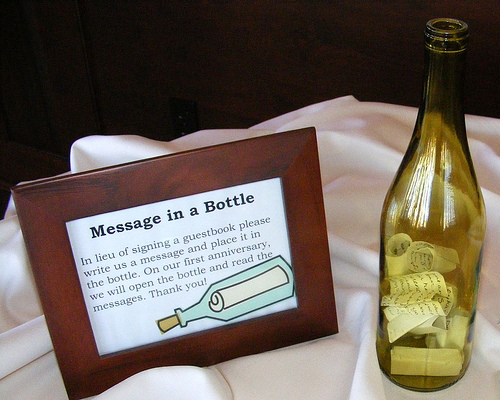 This interesting way can add a little bit more fun to your wedding. How to Prepare for Romantic Underwater Wedding Shooting? 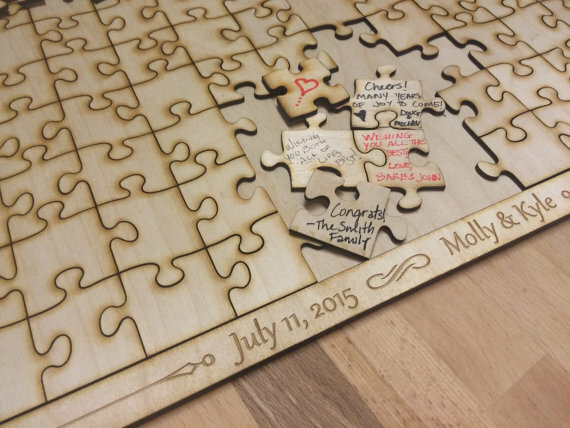 How would I get one of those wooden puzzle sign in slabs for my wedding in May?